It's Mardis Gras, y'all! 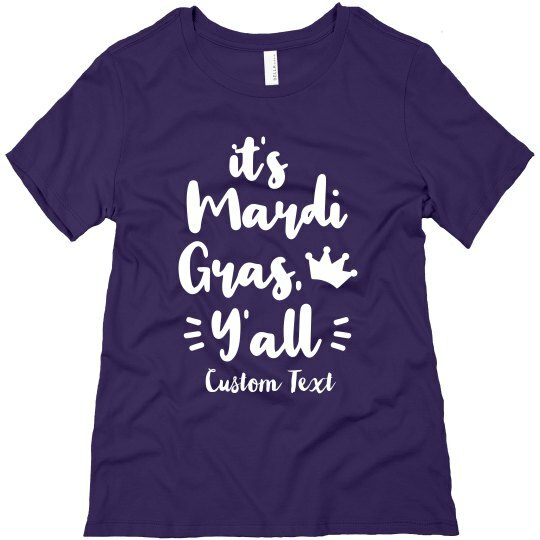 Get ready to celebrate Fat Tuesday in style this year with a festive t-shirt. You can even customize this one by adding text - add in your own message!